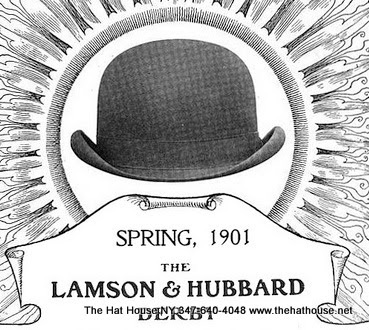 Many people have asked us for information regarding the history of the "bowler hat". 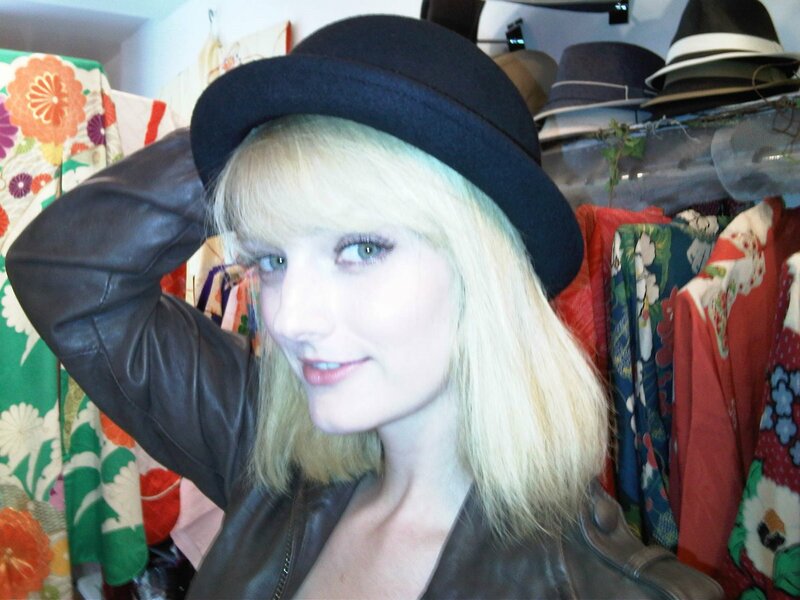 If you are planning on buying a bowler hat, you may find this information interesting. By the way, our logo is based on the bowler hat as it is an easily recognizable hat icon. 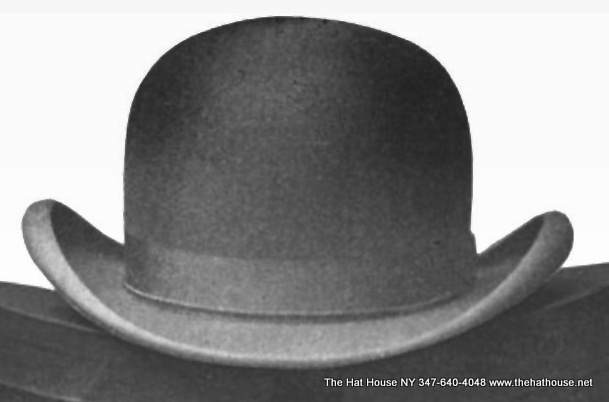 The Hat House, hat shop in SoHo, New York, has done some extensive research in order to produce this fact filled article. I hope you enjoy it. This is the first of a concise two part series on "The Bowler Hat"
The bowler hat is a rigid hat of felt with a low, round crown. It was known by several names, derby, coke (pronounced cook) hat, billycock, billy coke and bombin. It was designed in 1849 and made for the British politician and soldier Edward Coke, the 2nd Earl of Leicester's younger brother. During Queen Victoria's reign. The bowler was popular with the working class. However, in time it became the bankers working uniform and eventually even the Queen's Guards wore it as work dress. 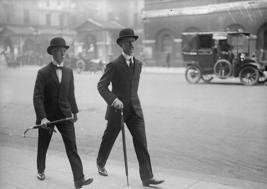 At one time if you wore a bowler in England you were recognized as a banker or civil servant. It was made by the hatters Thomas and William Bowler for Lock & Co., a firm of retail hatters in St. James. 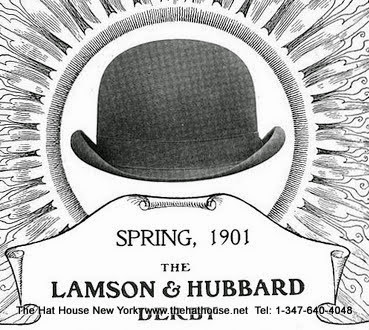 They had been asked by a customer to design a hat that had a low crown and fit closely on the head. This was to protect the heads of his gameskeepers from tree branches as they rode on horseback. A gameskeeper's previous head-wear was a top hat--easily bumped off and ruined. Locke & Co. asked the Bowler's to make a hat that would fix the dilemma. In Great Britain, particularly, most sources thought that William Bowler designed and made the hat for himself. At a later date the 1st Earl of Leicester's nephew did research that disputed this story. It is now thought that the 2nd earl of Leicester's younger brother, Edward Coke, was not just the customer but the actual inventor of the bowler. Edward Coke went to London December 17, 1849 to pick up his hat. it was said that he set it on the floor and twice vigorously stomped on it. The hat passed the test. It cost Coke 10 shillings. Locke and Co. usually named a new design after the customer who gave the order. The hat became the Coke hat. In Norfolk it was called the Billy Coke or Billycock. Billy was probably after William Bowler. In 1840 a felt making machine was invented in the U.S. It took about 18 years before England started using the machines. Felt makers in England, fearful of losing their jobs, fought the introduction of the machines. This reduced the price of felt and hats became less expensive and more plentiful. It spurred hat makers to make felt hats in all styles to meet a growing demand from the public. Felt had only been able to be made by hand before the machine was invented. In the U.S. the bowler was usually called “the derby”. The bowler became popular after Americans saw pictures of the Earl of Derby, at the horse races in England, wearing a light grey bowler with a black band. In Baltimore, Maryland, from 1854 to 1860, there was a group of Hook and Ladder volunteer fire fighters comprised of a mean and rowdy bunch. They were aptly named the Plug Uglies--always ready for a fight. These toughs were recognized by the bowlers they wore. The Plug Uglies adopted the bowler, often stuffing them with leather or wool, to protect their heads from deadly blows. Politicians used the Plug Uglies for intimidation at the polls. These politico’s worried that they would be unable to control the polls on Election Days. 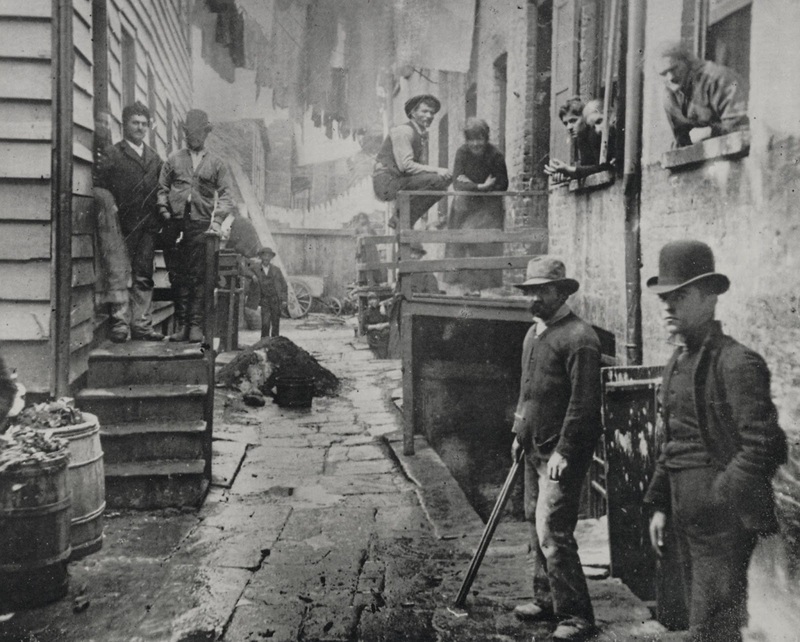 Plug Uglies were very involved in Baltimore’s first riot in 1855 and in the lethal riot in 1856 during Baltimore’s municipal election. In 1857 the Know-Nothing political party in Washington D. C. hired the Plug Uglies to fight their opposition. The rioting was so deadly the National Guard was required to quell the violent uproar and had to resort to shooting the rioters--ten citizens lost their lives. Newspapers around the country thrust the Plug Uglies into notoriety. Everywhere on the east coast the bowler was ubiquitous. East coast tours to visit the west were popular and tourists wearing bowlers were noticed by the locals. Soon the bowler began to be seen on western heads. If you thought the cowboy hat or the sombrero were the most popular hats in Western America—think again. It was the bowler. When the dashing, sophisticated gourmand, author, photographer and journalist Lucius Beebe arrived in the west during the first half of the 20th century, he called the bowler “the hat that won the west”. It had become the favorite hat of cowboys and train workers due to its practicality. It tended to stay on the head in a strong wind or if one stuck his head out the window of a railroad car that was racing like the wind. “Bad guys” and “good guys” wore the bowler. Bat Masterson a U.S. Marshal on the east coast and then later a sheriff in the wild west wore a bowler. Many who lived outside the law did too, such as the notorious Butch Cassidy, Billy the kid and of course “the Derby Kid” Marion Hedgepeth. Many actors wore a bowler in their acting roles. Here are just five: Charlie Chaplin, Malcolm Mc Dowell and his droogs (followers) wore bowlers in “A Clockwork Orange”. Stan Laurel and Oliver Hardy, Paul Newman in “Butch Cassidy and the Sundance Kid”. The bowler,called a bombín in Spanish, has been worn by Quechua and Aymarawomen since the 1920s, when it was introduced to Bolivia by British railway workers. For many years, a factory in Italy manufactured the hats for the Bolivian market, but they are now made locally. Another region that appreciates the bowler hat is the Niger Delta area of Nigeria. The men of this region use this hat as a fashion accessory, along with a walking stick. These fashion accessories, which have become a staple part of the regional costume, were introduced by British colonials in the 1900s. The bowler is here to stay.